Keeping up with the rapidly growing research base, the leading graduate-level psychology of religion text is now in a fully updated fifth edition. It takes a balanced, empirically driven approach to understanding the role of religion in individual functioning and social behavior. 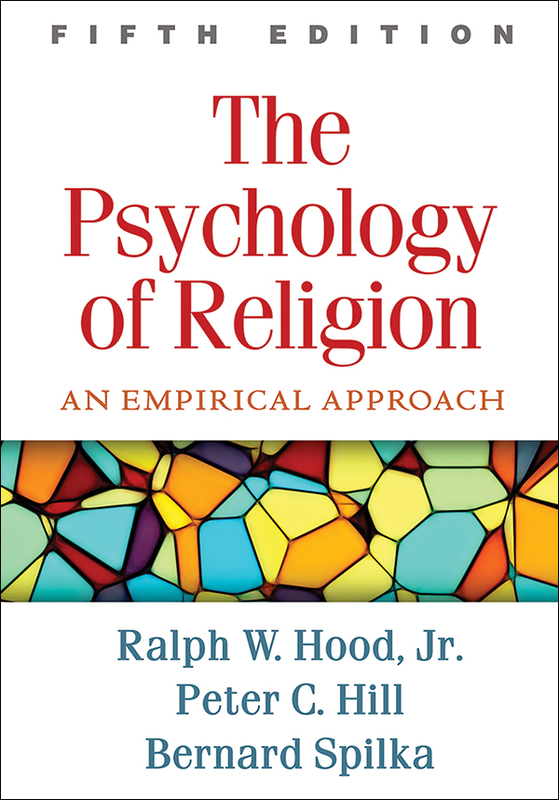 Integrating research on numerous different faith traditions, the book addresses the quest for meaning; links between religion and biology; religious thought, belief, and behavior across the lifespan; experiential dimensions of religion and spirituality; the social psychology of religious organizations; and connections to coping, adjustment, and mental disorder. Chapter-opening quotations and topical research boxes enhance the readability of this highly instructive text. New topics: cognitive science of religion; religion and violence; and groups that advocate terrorist tactics. The latest empirical findings, including hundreds of new references. Expanded discussion of atheism and varieties of nonbelief. More research on religions outside the Judeo-Christian tradition, particularly Islam. State-of-the-art research methods, including techniques for assessing neurological states.